Section 1. Qualifications. Membership shall be of two classes and available to all households, organizations and businesses upon the payment of annual membership dues. 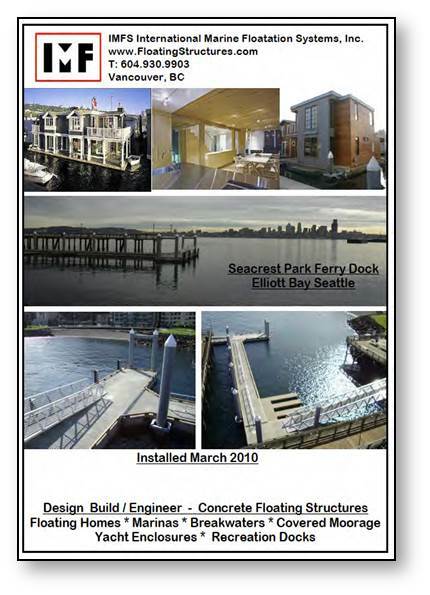 Voting memberships shall be limited to households dwelling in and/or owning a floating home in the City of Seattle which subscribe to the Association’s corporate purposes as determined by the Board of Directors. Non-voting members are members who do not meet the qualifications of voting members. Section 2. Voting. There shall be only one vote per floating home household. There may be two votes per floating home if the “dwelling” household and the “owner” household are not the same, and both have paid annual membership dues. Section 3. Dues. Dues for membership shall be set by the Board of Directors. Failure to pay dues shall result in automatic termination of membership upon expiration. Section 4. Annual Meeting. Annual meetings of the membership shall be held in April of each year at the principal office of the corporation or at such other place and such time as the Board of Directors shall designate for the purpose of electing Officers, Directors, and transacting such other business as may come before the meeting. Section 5. Powers of the Members. Each voting membership shall be entitled to one vote on all matters submitted to a vote of the corporation’s members. Memberships shall not be transferable. Members shall elect the President, Vice President(s), Secretary, and Directors of the corporation and act on such policies the Board of Directors refers to the membership. All other corporate powers shall reside with the Board. Section 6. Special Meetings. Special meetings of the membership may be called for any purpose or purposes, including the election of Directors, by the President of the corporation, by the Board of Directors, or by 5% of the membership. Section 7. Notice of Meetings. Notice, in the form of a record, in a tangible medium, or in an electronic transmission, stating the place, day, and hour of the annual meeting and, in case of a special meeting, the purpose or purposes for which the meeting is called, shall be delivered not less than ten nor more than fifty days before the date of the meeting, by or at the direction of the president, or the secretary, or the officers or persons calling the meeting, to each member entitled to vote at such meeting. Notice of regular meetings other than the annual meeting shall be made by providing each member with the adopted schedule of regular meetings for the ensuing year at any time after the annual meeting and ten days prior to the next succeeding regular meeting and at any time when requested by a member or by such other notice as may be prescribed by the bylaws. Section 8. Quorum. Members holding fifteen (15) percent of the votes entitled to be cast at any meeting, shall constitute a quorum. A majority of the votes cast shall be necessary for the adoption of any matter voted upon unless otherwise stated in these Bylaws or in the statutes governing this corporation. Section 1. Powers. The affairs of the corporation shall be managed by a Board of Directors who may also be known as Trustees. Section 2. Duties. A director shall perform the duties of a director, including duties as a member of any committee of the board upon which the director may serve, in good faith, in a manner in the best interests of the corporation, and with such care, including reasonable inquiry, as an ordinarily prudent person in a like position would use under similar circumstances. Section 3. Number, Classes, Election, and Term of Office. The Board of Directors shall consist of no less than 4 members. Up to two members may share one position on the Board of Directors. Directors sharing one position shall share one vote between them. Directors shall be elected at the Annual Meeting or, if such meeting is not held or Directors are not then elected, at a special meeting called for that purpose. The term of each Director shall be for two (2) years and staggered such that the terms of one-half of the Directors shall end each year. Each Director shall serve until his or her successor is duly elected and qualified or until his or her earlier resignation, removal from office, or death. Section 4. Resignation or Removal. Any Director, by notice in writing to the Board of Directors, may resign at any time. Any Director may be removed, with or without cause, by two-thirds of the votes cast by members having voting rights with regard to the election of any Director, represented in person or by proxy at a meeting of members at which a quorum is present. Section 5. Vacancies. A vacancy on the Board may be temporarily filled at a meeting of the Directors by a majority vote of the remaining Directors. A Director so elected shall hold office for the term of his or her predecessor in office. Section 6. Quorum. Except with respect to the filling of a vacancy in the Board, a majority of the entire authorized number of the Board of Directors shall constitute a quorum for the transaction of business at any meeting of the Directors. Section 7. Meetings of Directors. The Board of Directors shall meet not less than quarterly at a time and place to be set by the Board. Special meetings of the Board may be called by the President, the Vice President, or any two Directors. Section 8. Notice of Meetings of Board of Directors. While not required under these Bylaws, the Secretary shall endeavor when time and the Association’s business allows, to give notice of the time and place of each meeting of the Directors at least three days in advance. Attendance of a director or a committee member at a meeting shall constitute a waiver of notice of such meeting, except where a director or a committee member attends a meeting for the express purpose of objecting to the transaction of any business because the meeting is not lawfully called or convened. Section 9. Meetings Held Through Communications Equipment. Meetings of the Board of Directors or any committee of the Board may be held through communications equipment if all persons participating can hear each other and such participation shall constitute presence at such a meeting. Section 10. Manner of Acting. The act of the majority of the Directors present at a meeting at which a quorum is present shall be the act of the Board, except in instances where these Bylaws or state law shall conflict. Section 11. Action by Directors Without a Meeting. Any action required or permitted to be taken at a meeting of the Board may be taken without a meeting if a written consent, electronic or otherwise, setting forth the action to be taken is executed by each of the Directors. In the case of an electronic communication, an actual signature is not necessary. Any such written consent shall be inserted in the minute book as if it were the minutes of a Board meeting. Section 12. Compensation. The Directors of the Corporation shall serve without salary. Section 1. Number. The officers of the Corporation shall be a President, one or more Vice-Presidents, a Secretary, and a Treasurer, each of whom shall be a member of the Board. One person may hold more than one office, but not both the offices of the Secretary and President. Directors who share one position on the Board may also share the position of Treasurer. Section 2. Election and Term of Office. The President, Vice-President(s), and Secretary of the Corporation shall be elected annually by the members at the annual meeting of the membership. The president shall be limited to three consecutive terms except that an individual may again run for president after an absence of one year as president. The Treasurer shall be elected annually by the Board of Directors at its first meeting following the annual meeting. If the election of officers is not held at such meeting, such election shall be held as soon thereafter as a meeting conveniently may be held. Each officer shall hold office until a successor shall have been elected and qualified unless s/he resigns or is removed. Section 3. Removal. Any officer or agent may be removed by the Board whenever in its judgment the best interests of the Association would be served thereby. Section 4. Vacancies. A vacancy in any office because of death, resignation, removal, disqualification of otherwise, may be filled by the Board for the unexpired portion of the term. Section 5. President. The President shall be the principal executive officer of the Corporation and, subject to the Board’s oversight, shall supervise and control all of the business and affairs of the corporation. S/he, along with such other officers as the Board may designate, shall sign deeds, leases, mortgages, contracts, or any other instrument that the Board authorizes to be signed unless the Board designates some other officer or agent of the Corporation to so execute. S/he shall have all the powers and duties normally incident to the office of president and as prescribed by the Board of Directors. Section 6. Vice-President. The Vice-President shall have all of the duties and authority normally vested in a vice-president. The Vice-President, in the event of a death, disability, incapacity or resignation of the President shall perform all necessary duties which would otherwise be performed by the President, and such duties as may be prescribed by the Board of Directors. Section 7. Secretary. The Secretary shall (a) keep the minutes of the membership and Board meetings and maintain them in one or more books provided for that purpose; (b) see that all notices are duly given in accordance with the provisions of these Bylaws or as required by law; (c) be custodian of the corporate records; (d) keep a register of the post office address of each member of the Corporation as furnished to the Secretary by each member; (e) sign such documents as may be required by the Board or State law; and (f) in general perform all duties incident to the office of Secretary and such other duties as from time to time may be assigned to him/her by the President or by the Board. Section 8. Treasurer. The Treasurer shall have charge and custody of and be responsible for all funds and securities of the Corporation; receive and give receipts for monies due and payable to the Corporation from any source whatsoever, and deposit all such monies in the name of the Corporation in such banks, trust companies, or other depositories as shall be selected in accordance with the provisions of these Bylaws and in general perform all of the duties incident to the office of the Treasurer and such other duties as from time to time may be assigned to him/her by the President or by the Board. If required by the Board, the Treasurer shall give a bond for the faithful discharge of his/her duties as the Board shall determine. Section 9. Salaries. Officers shall not receive salaries for their activities as officers of the Corporation but may be reimbursed for reasonable expenses incurred on behalf of the Corporation. Section 1. Creation. The Board shall have the power to establish such committees as it may deem advisable with such powers as it may determine. The designation and appointment of any such committee and the delegation thereto of authority shall not operate to relieve the Board, or any individual Director, of any responsibility imposed upon it or said Director by law. Section 2. Appointment. Members of committees shall be appointed by the President and membership on committees shall not be limited to Directors, except for the Executive Committee. The President shall name the chairperson of each committee and shall have the power to remove said chairperson or committee members, subject to the review of the Board. Section 3. Executive Committee. The officers of the Corporation shall constitute the Executive Committee. The Executive Committee shall have the power to exercise the authority of the Board in the management of the Corporation in any emergency or other situation where the President deems that action should be taken before a full Board meeting could reasonably be held; provided that the Executive Committee shall not have the power of the Board in reference to amending, altering or repealing the Bylaws; electing, appointing or removing any member of any such committee or any Director or officer of the Corporation; amending the Articles of Incorporation; adopting a plan of merger or consolidation; authorizing the sale, lease, exchange or mortgage of all or substantially all of the property and assets of the Corporation not in the ordinary course of business; authorizing the voluntary dissolution of the Corporation or revoking proceedings thereof; adopting a plan for the distribution of the assets of the Corporation; or amending, altering, or repealing any resolution of the Board which by its terms may not be amended, altered, or repealed by such committee. A majority of the Corporation’s officers shall constitute a quorum of the Executive Committee and it shall require a majority of said quorum for adoption of an action by the Executive Committee. Section 1. Waiver of Notice. Whenever any notice is required to be given to any Director of the Corporation by the Articles of Incorporation or Bylaws, or by the laws of the State of Washington, a waiver thereof executed by the person or persons entitled to such notice, whether before or after the time stated therein, shall be equivalent to the giving of such notice. Section 1. Indemnification. Each Director or Officer now or hereafter serving the Corporation and each person who at the request of or on behalf of the Corporation is now serving or hereafter serves as a Trustee, Director, or Officer of any other Corporation, whether for profit, or not for profit, and that person’s representative heirs, executors, and personal representatives, shall be indemnified by the Corporation against expenses actually and necessarily incurred in connection with the defense of any action, suit, or proceeding in which s/he is made a party by reason of being or having been such trustee, director, or officer, except in relation to matters as to which s/he shall be adjudged in such action, suit, or proceeding to be liable for intentional misconduct by a director or a knowing violation of law by a director, for conduct violating RCW 23B.08.310, or for any transaction from which the director will personally receive a benefit in money, property, or services to which the director is not legally entitled. Such indemnification shall not be deemed exclusive of any other rights to which such person may be entitled under any bylaw, agreement, or vote of the Board of Directors or otherwise. No provision shall eliminate or limit the liability of a director for any act or omission occurring prior to the date when such provision becomes effective. Section 2. Insurance and Other Indemnification. The Board of Directors shall have the power to (i) purchase and maintain, at the Corporation’s expense, insurance on behalf of the Corporation and on behalf of others to the extent that power to do so has been or may be granted by statute, and (ii) give other indemnification to the extent permitted by law. Section 1. Fiscal Year. The fiscal year of the Corporation shall be the calendar year, provided that if a different fiscal year is at any time selected for purposes of federal income taxes, the fiscal year shall be the year so selected. Section 1. Amendments. These Bylaws and the Articles of Incorporation may be amended by two-thirds (2/3) affirmative vote of the Directors in office at any meeting of the Board of Directors. The Bylaws may also be amended by affirmative vote of two-thirds of the entire voting membership of the Association, represented in person or by proxy at a meeting of members at which a quorum is present. APPROVED BY THE BOARD as of the __2__ day of ___November____, 2011.